I read this article and found it very interesting, thought it might be something for you. 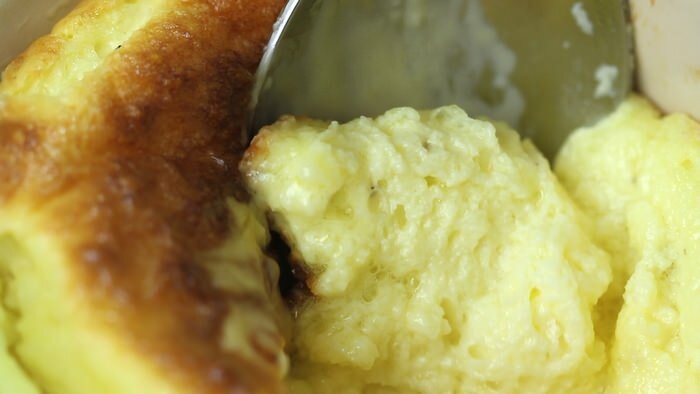 The article is called How to Make Cheese Soufflé – Easy 5-Ingredient Recipe and is located at http://eugeniekitchen.com/cheese-souffle/. 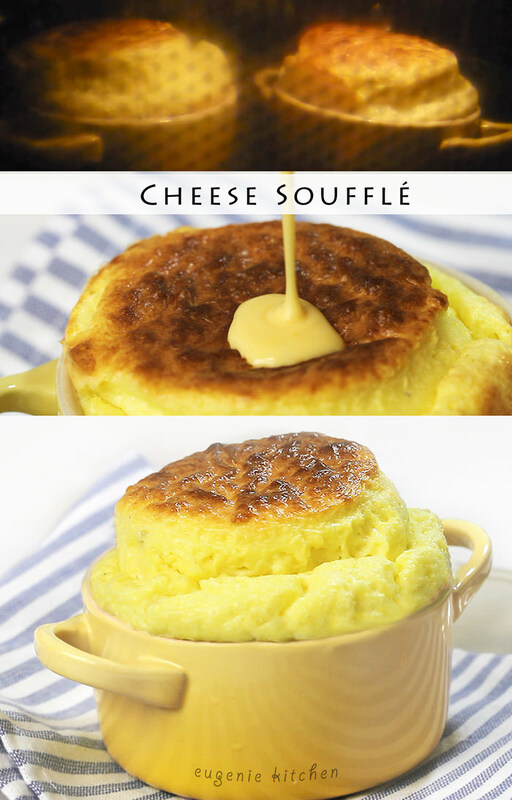 Cheese soufflé, soufflé au fromage. Serve immediately out of oven when it’s hot. I am adding simple fondue sauce today. It’s made of 1 part heavy cream and 1 part cheese of your choice. Don’t forget to season with salt and pepper. 1. First, brush the baking dishes with softened unsalted butter. Brush from bottom upwards. This will make the soufflé to rise evenly. Set aside. 2. Over medium heat, add 2 tablespoons of unsalted butter in the sauce pan and melt it. Add in 3 tablespoons of all-purpose flour and cook for 1 minute stirring with a wooden spoon. This is white roux. 3. 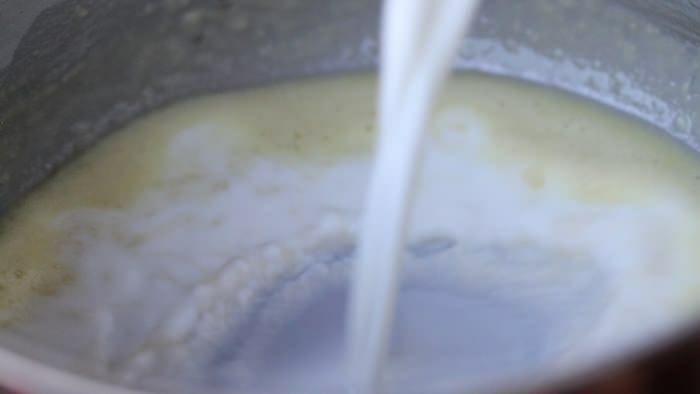 Remove the pan from the heat, add ¾ cup of whole milk at room temperature, and stir until smooth. Back to the heat stir constantly until it comes to a boil. The sauce should form ribbons. 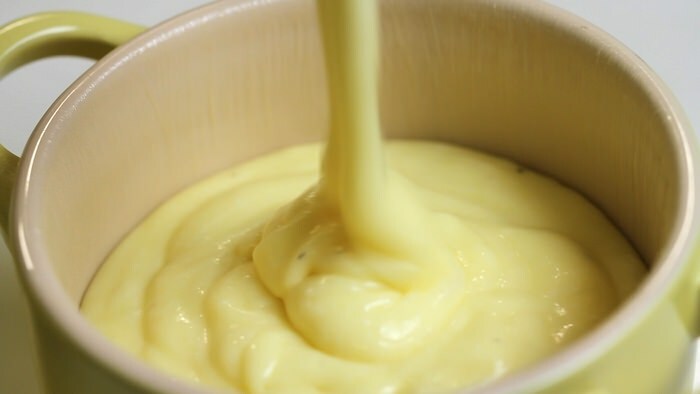 This is béchamel sauce. Remove from the heat. 4. Add in 2 oz of cheese of your choice: Parmesan, cheddar, Gruyères, etc. Today I used grated Emmental cheese. And stir until cheese is melt and homogeneously combined. And don’t forget to season with salt and freshly ground pepper. This is Mornay sauce. And let cool. 5. Now separate 2 eggs. Beat the egg whites until peaks form. 6. And add the egg yolks into the now cooled Mornay sauce: one by one stirring until homogeneously mixed. 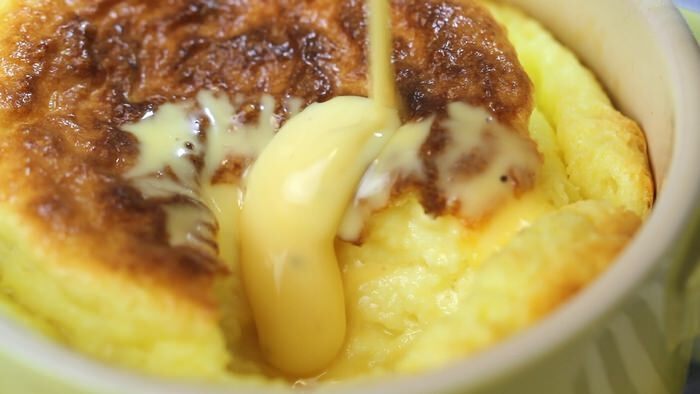 Now add a whiskful of egg whites into the Mornay sauce and whisk to combine. Then pour all Mornay sauce into egg whites and fold until combined. Spoon the mixture into the prepared dishes. 7. Bake in the oven preheated to 360 degrees F. (180 C.) for about 35 minutes, or until well risen.